Nationality: French. Born: Lunel, France, 19 February 1873. Education: the Institut de Brignac and at the Petit Séminaire, Carcassonne. Military Service: Served with French Army, 1891–95, and 1915. Family: Married Jeanne-Léontine Janjou, 1895 (daughter married to filmmaker Maurice Champreux). Career: Worked in publishing in Paris, 1898; founder of satirical journal La Tomate , 1903; hired as writer by Alice Guy at Gaumont Studios, 1905; replaced Guy as director of Gaumont Productions, 1907; began series of "cinéromans" (serials) with Judex , 1916; first president of the Societé des Auteurs de Films, 1917–18; moved, with Gaumont, to Nice, 1918. Died: In Nice, 26 February 1925. Le Clos (play), with Etienne Arnaud, Paris, 1905. Les Vampires , with George Meirs, Paris, 1916. Judex , with Arthur Bernède, Paris, 1917 (and 1934). La nouvelle Mission de Judex , with Arthur Bernède, Paris, 1919. Tih Minh , with Georges Le Faure, Paris, 1919. Barrabas , with Maurice Level, Paris, 1920. "Naundor, la genèse d'un crime historique," (under pseudonym P. Valergues), in Revue mondiale (Paris), 10 November 1904 through 25 October 1905. Manifestos on the series "Le film esthétique" and "La vie telle qu'elle est," in L'Anthologie du Cinéma , edited by Marcel Lapierre, Paris, 1946. Prédal, René, Le Cinéma muet à Nice , Aix-en-Provence, 1964. Florey, Robert, La Lanterne magique , Lausanne, 1966. Lacassin, Francis, Maître des lions et des vampires, Louis Feuillade , Paris, 1995. Beylie, Claude, "Louis Feuillade," in Ecrans de France (Paris), 15 May 1959. Lacassin, F., and R. Bellour, "En effeuillant la Marguerite," in Cinéma (Paris), March–June 1961. Florey, Robert, "Une Saison dans la cage à mouches avec Feuillade," in Cinéma (Paris), June 1962. Fieschi, Jean-André, "Feuillade (l'homme aimanté)," in Cahiers du Cinéma (Paris), November 1964. Lacassin, Francis, "Louis Feuillade," in Sight and Sound (London), Winter 1964/65. Lacassin, Francis, "Les lettres de Léon Gaumont à Louis Feuillade," in Cinéma (Paris), no. 95, 1965. "Feuillade," in Anthologie du Cinéma , vol. 2, Paris, 1967. Roud, Richard, "Maker of Melodrama," in Film Comment (New York), November/December 1976. Cartier, C., and M. Oms, "Quand Louis Feuillade cinématographiait à la cité de Carcassonne," in Cahiers de la Cinémathèque (Paris), Winter 1979.
" Fantômas Issue" of Avant-Scène du Cinéma (Paris), 1 July 1981. You, D., " Fantômas et Judex au tribunal: Feuillade a-t-il cédé ses droits," in Filméchange (Paris), Winter 1983. Lacassin, F., "Naissance d'un héros," in Avant-Scène du Cinéma (Paris), April 1984. Pithon, R., "Retour à Feuillade," in Positif (Paris), February 1987. Abel, R., "Before Fantômas : Louis Feuillade and the Development of Early French Cinema," in Post Script (Jacksonville, Florida), Fall 1987. "Louis Feuillade," in Cahiers de la Cinémathèque (Paris), no. 48, 1987. Oms, M., "Entretien avec Jacques Champreux," in Cahiers de la Cinémathèque (Paris), no. 48, 1987. La Breteque, F. de, and M. Cade, "La petite bourgeoisie dans les films de Louis Feuillade," in Cahiers de la Cinémathèque (Paris), no. 50, 1988. Masson, A., "Voila le passage secret! Sur Judex et sur Feuillade," in Positif (Paris), no. 383, January 1993. "Feuillade and the French Serial," in Velvet Light Trap (Austin, Texas), no. 37, Spring 1996. 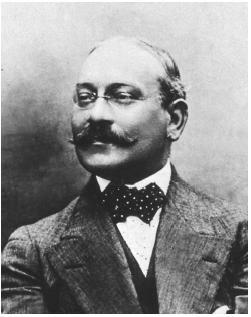 Louis Feuillade was one of the most solid and dependable talents in French cinema during the early twentieth century. He succeeded Alice Guy as head of production at Gaumont in 1906 and worked virtually without a break—aside from a period of war service—until his death in 1925. He produced some eight hundred films of every conceivable kind: comedies and contemporary melodramas, biblical epics and historical dramas, sketches and series with numerous episodes adding up to many hours of running time. Alhough most of these films were made from his own scripts, Feuillade was not an innovator. The years of his apprenticeship in the craft of filmmaking were those in which French producers reigned supreme, and he worked uncomplainingly in a context in which commercial criteria were paramount. For Feuillade—as for so many of his successors in the heyday of Hollywood—aesthetic strategies not rooted in sound commercial practices were inconceivable, and a filmmaker's only viable ambition was to reach the widest possible audience. Most of Feuillade's output forms part of a series of some kind and he clearly saw films in generic terms rather than as individually sculpted works. Though not an originator in terms of the forms or styles he adopted, he made films which are among the finest examples of the various popular genres he successively explored. Before 1914 his work is enormously diverse. It included thirty comic films in the series of La Vie drôle , a group of seriously intended dramas in which a concern with the quality of the pictorial image is apparent (marketed under the banner of the Film esthétique ), and a number of contemporary dramas, La Vie telle qu'elle est , with somewhat ambiguous claims to realism. In addition, he made some seventy-six films with a four-year-old child star, Bébé, and another fifty or so with the urchin Bout-de-Zan. But the richest vein of Feuillade's work is the series of crime melodramas that extended from Fantômas in 1913–14 to Barrabas in 1920. Starting with his celebration of Fantômas, master criminal and master of disguise, who triumphs effortlessly over the dogged ordinariness of his opponent Inspector Juve, Feuillade went on to make his wildest success with Les Vampires. Made to rival the imported American serials, this series reflects the chaotic wartime state of French production. It is marked by improvised stories refusing all logic, bewildering changes of casting (necessary as actors were summoned to the war effort), economical use of real locations, and dazzling moments of total incongruity. Les Vampires reached a level that Feuillade was never able to duplicate. Subsequent works like Judex and especially La Nouvelle Mission de Judex are marked by a new tone of moralising, with the emphasis placed on the caped avenger rather than the feckless criminals. If the later serials, Tih Minh and Barrabas , contain sequences able to rank with the director's best, Feuillade's subsequent work in the 1920s lacks the earlier forcefulness. It was the films' supreme lack of logic, the disregard for hallowed bourgeois values—so appropriate at a time when the old social order of Europe was crumbling under the impact of World War I—which led the surrealists such as André Breton and Louis Aragon to hail Fantômas and Les Vampires , and most of Feuillade's subsequent advocates have similarly celebrated the films' anarchistic poetry. But this should not lead us to see Feuillade as any sort of frustrated artist or poet of cinema, suffocating in a world dominated by business decisions. On the contrary, the director was an archetypal middle class family man who prided himself on the commercial success of his work and conducted his personal life in accord with strictly ordered bourgeois principles.